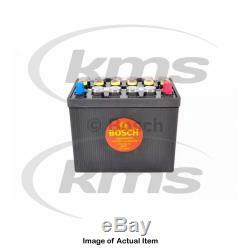 New Genuine BOSCH Starter Battery F 026 T02 311 Top German Quality. Belt Tensioner Wheels & Bkts. Mirror Heads, Housing & Motors. UK Reg No/Vin MUST be supplied. The compatibility is only a guide. A UK Reg or VIN number MUST BE SUPPLIED as in many cases there is a "choice" depending on chassis numbers. We cannot be held responsible if this is not supplied or is supplied after despatch. Voltage [V]: 12 Battery Capacity [Ah]: 60 Cold-test Current, EN [A]: 280 Length [mm]: 260 Width [mm]: 173 Height [mm]: 225 Post Positions: 0 Hold-down Type: B00 Terminal Type: 1. 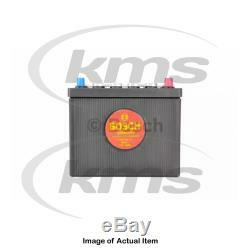 Any of the brands above, equivalent or OE supplier brands may be supplied UNLESS customer specifies. Any of the brands above / below, equivalent or OE supplier brands may be supplied UNLESS customer specifies. Our couriers will usually deliver between 7am to 7pm (Monday to Saturday). Estimates can be provided beforehand but prices may differ upon ordering. Such charges are the responsibility of the customer and NOT included in our prices. Prices quoted for International deliveries apply to those areas the Carriers deliver to on a regular basis. If your address falls outside of this the Carrier may charge a "remote area surcharge" that will need to be paid by the customer in order to have the parcel delivered. 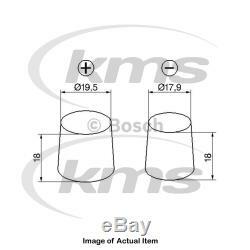 The item "New Genuine BOSCH Starter Battery F 026 T02 311 Top German Quality" is in sale since Friday, April 13, 2018. This item is in the category "Vehicle Parts & Accessories\Car Parts\Other Car Parts". 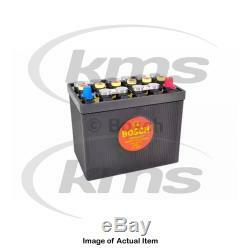 The seller is "kmspartsonline" and is located in Birmingham, West Midlands. This item can be shipped worldwide.